Wouldn't You Want A Massive Archive Of P. Craig Russell's Sketches? Home » BC Network » Recent Updates » Wouldn’t You Want A Massive Archive Of P. Craig Russell’s Sketches? 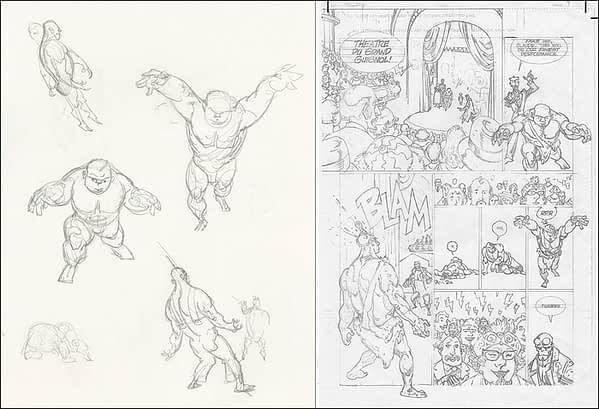 Wouldn’t You Want A Massive Archive Of P. Craig Russell’s Sketches? 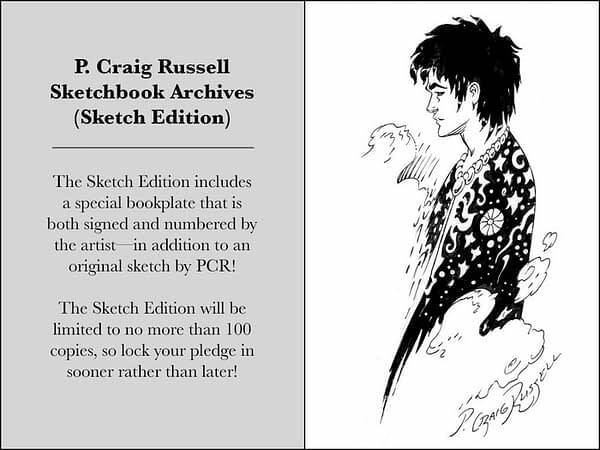 P. Craig Russell has moved through five volumes of graphic storytelling instructional video projects that are going to produce an entire generation of super-trained and probably frighteningly versatile artists any day now, but until then, there’s also his Sketchbook Archives at over 250 pages of personally chosen work for fans. The Kickstarter for the volume is very close indeed to reaching its goal, and still has over 5 days to go in its campaign, but this is hardly a project where I even need to appeal to readers to do the supportive thing for a great artist (though you should) because all I have to say is: You get a 250+ page hardcover art book of P. Craig Russell’s work drawn from his own sketchbooks, and that pretty much sells itself. But the project is also very reasonable in the tiers of donation versus rewards: for 25 dollars, you get the e-book and some lovely wallpapers, and for 50 dollars you get the e-book, wallpapers, and hardback print volume of the book. Higher level donations include signed editions, limited prints (which Russell is also long known for and they are highly prized), and sketches of choice from a selection of subjects. But the implicit kicker in this Kickstarted volume is that these are the sketches that have informed his finished work over the years. In the book you’ll find highly recognizable genesis-points for characters and specific storytelling moments that are bound to make you feel like an insider in those moments of creation. Russell describes having 10 sketchbooks in his possession that span the last 20 years and will be selecting representative drawings from each of them to give a full spectrum of his work during a time in which he has worked on Hellboy, Conan, The Sandman, The Fairy Tales of Oscar Wilde, and The Ring of the Nibelung books. It’s kind of like uncovering buried treasure to get a hold of this book, no doubt, and it’s also a wonderful way to preserve Russell’s work and get it into the hands of enthusiasts, art students, and scholars of the medium. The project will almost certainly reach its goal, but why not make sure you get your own personal archive too?